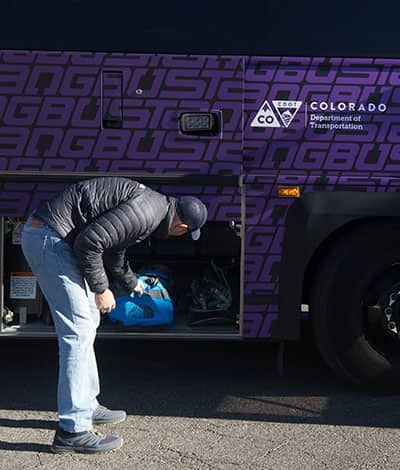 Weekend service from Colorado State University to Denver, and back! 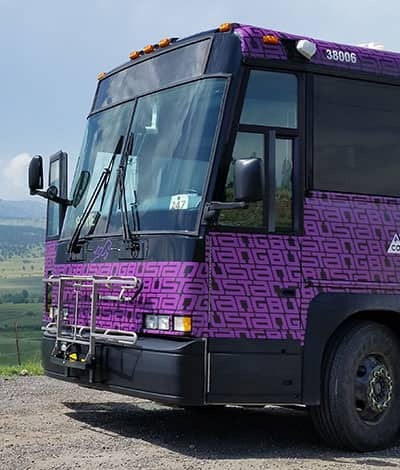 Need to catch a bus to Colorado State University in Fort Collins for a football game? Take the RamsRoute! 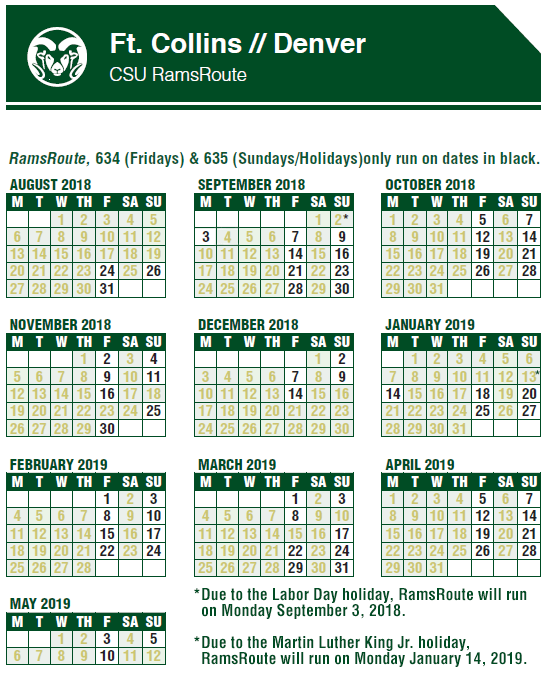 Check our our CSU Bus Schedule below to begin planning your trip. 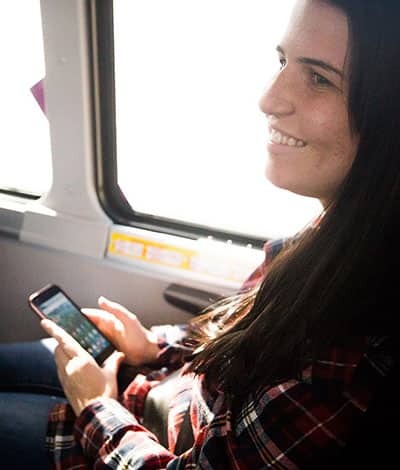 In order to be guaranteed a seat, you MUST purchase a RamsRoute ticket using one of the links below. Standby passengers will not be allowed at Downtown Transit Center. After loading is complete at CSU, standby passengers may be allowed to board based on seat availability. MORE SPRING ‘19 TICKETS COMING SOON – We will have new dates up shortly! *Discharge stop. Bus stops only upon passenger request. Service does not run over summer break. Please check back in August for new ticketing info. 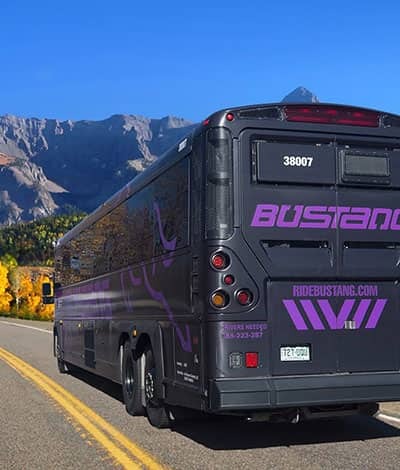 RamsRoute tickets are not interchangeable with regular Bustang tickets. Tickets are non-refundable.